This one seems so simple, doesn’t it? But it’s so easy to get swept up in the week, making plans, working late, getting in to the office early. What do you really enjoy? Cross-stitch? Watercolours? Writing in a journal? Going to a gym class? Reading a good book? Set aside a ‘you’ day, and treat it like you would a social engagement with other people; don’t cancel it and use those couple of hours to focus on to get you through the week. I get THE worst Sunday dread. I wake up early on a Sunday to capitalise on the whole day and ensure I get as much free time out of it as possible, but for a lot of this time, I used to get ‘anxy’ about work the following day. So now the last thing I do on a Friday at work is make a To Do list of things I need to sort first thing on a Monday. If I’m uber worried, I’ll check it again on Sunday, but I don’t tend to need to do this any more. 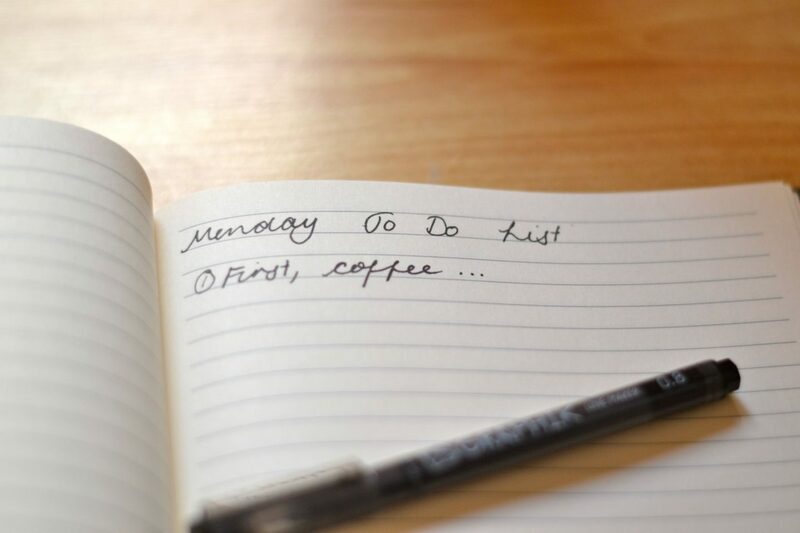 I now always write ‘one thing at a time’ at the top of my to do list; it serves as a good reminder you can’t do everything at once and it helps me focus on doing the task at hand. I’m not a good sleeper, but one thing which does get me slightly more energised despite my lack of sleep is setting a bed time routine. 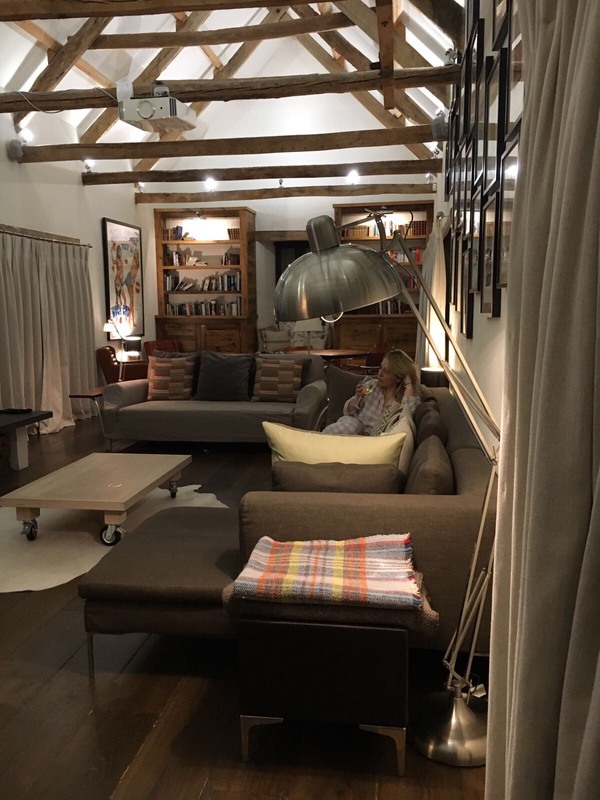 I use a touch lamp so I can set a soft light, light my favourite Jo Malone candle, make a decaf tea and settle down with a favourite book (usually Harry Potter). I also use This Works Pillow Spray, to help ease me off. Although I don’t drift off straight away, I can definitely feel myself relaxing. Idea 4: Audiobooks, Television series, Podcasts. A recent love of mine is audiobooks – I love to switch all the lights off and just lie with my eyes closed having someone read to me. It’s the perfect little way of escapism and I love that I can take it along with me on the tube, it’s so nice to be able to have something to tune in to when you need to. I also like to fall asleep to ‘happy’ things on TV, at the moment I zone out to How I Met Your Mother, I find it a nice distraction when my minds too busy just to enjoy the quiet. Idea 5: Mindfulness and Mindfulness apps. I had the wrong idea about Mindfulness. I thought it was about ‘clearing’ the mind – when actually, it’s not about that at all. Mindfulness is about being aware of what’s happening around you. They’re bringing Mindfulness in to schools all over the world, as a way of helping children cope with anxiety and stress. Click here to check it out on the NHS pages. It’s a lot to explain on one blog post, but why not check out the Headspace app which is great for talking you through? Next Post Mini Quiche – A Mini Recipe! I don’t know what it is about making lists but it always makes me 20x more relaxed, just putting all of the to-dos pen to paper. Great post! I love this post! I think ‘me time’ is definitely important! There have been so many times when I’ve just ignored doing things I actually LOVE doing because I don’t prioritise well. Aw thank you! 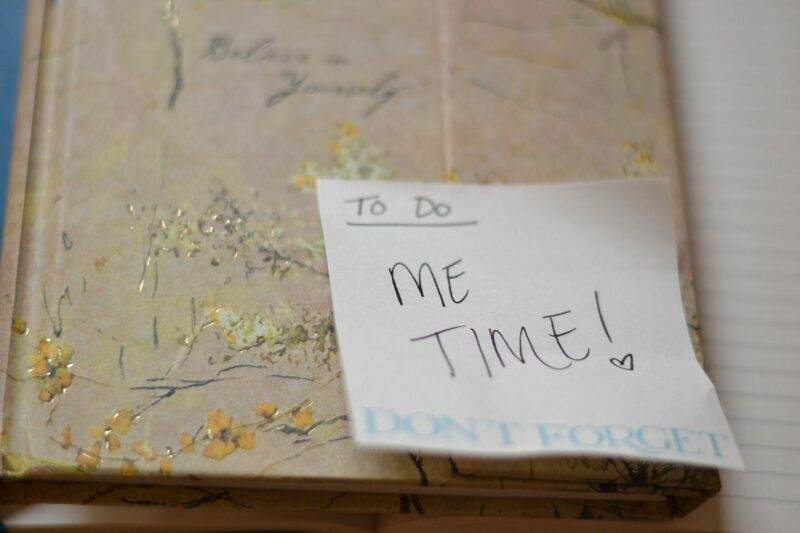 I know prioritising ‘self-care’ is such a challenge, but you always feel better for it! Thank you for your lovely comment! Such great tips, Kate! 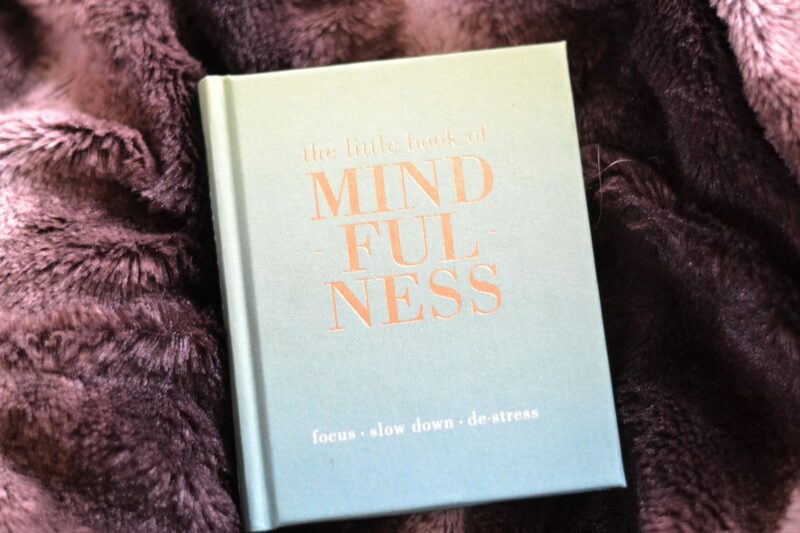 I am taking a mindfulness course at the minute and I’ve been really enjoying it! Just taking time out to breathe and ground yourself at stressful points during the day really helps me! 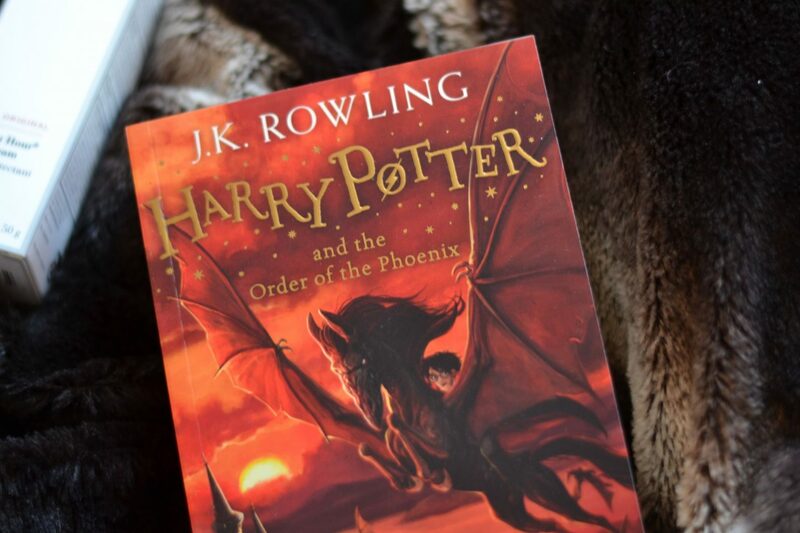 I have always loved audiobooks, especially as a child when I had them on cassette tapes, so I need to get back into them! Thanks for sharing this! Aw thank you Abbey – your comments always make my day! That mindfulness course sounds amazing – are you going to post about it ? I’d love to hear more about it! Oh my gosh – cassette tapes, that brings back lovely memories!